Update 15/04/2011: CONTEST IS OVER! Couple of months ago I ran a contest on my blog. I think many of you liked the idea. So, why not try it again? This time contest will be dedicated to 6 months anniversary of this blog. 1) Subscribe to this blog via e-mail, or via Twitter, or via "Liking" Facebook page. All the subscription options can be found in the right column. 2) Send an e-mail to linuxblog-contest@darkduck.com specifying subscription method and way how I can verify it (confirmed e-mail, Twitter ID, Facebook name). This e-mail has to contain answers to contest questions. 1) What is date of oldest post in this blog? Hm... only those which exist at this time, because I deleted some old ones... Those who read my blog for long time may know the reason. 2) Which OS(es) oldest post in this blog is about? 5) Any comments and wishes, if you have some. This is optional. Contest will be closed for new entries at 11.59pm GMT on the 6th month anniversary of the blog (see question 1). You can subscribe using different methods, and then each of them will mean separate entry in prize draw. You can increase your chances to win a prize this way. Please send me separate e-mail for each entry. 2. All contest entries will be placed into OpenOffice Calc list. One entry from each e-mail. That's why please send me separate e-mail for each subscription method if you want to get several entries into prize draw. 3. Winner will be chosen randomly using RANDBETWEEN function. 4. Two runner-ups will be chosen the same way. Winner and runner-ups will be notified personally using e-mail they used for prize draw entry. They will need to provide their postal addresses to get the prizes. Also their e-mails / Twitter IDs / Facebook names (in masked way) will be published in separate blog post announcing contest results. 1. Winner will get one 4GB USB drive and one CD with Linux distributive listed in Buy Linux CDs page. Winner will have an option to choose distributive. 2. Each runner-up will get one CD with Linux distributive listed in Buy Linux CDs page. Each runner-up will have an option to choose distributive. 7. Spreadsheet with all the e-mails will be deleted once results are announced and will never be published. 8. Only one prize per person, even with multiple entries. 9. I may contact you regarding further details of your answers. I published a post recently when I told how many and which systems are installed on my laptop. If you remember (or have read it just now), my preferred system is Kubuntu. Because of KDE. Why KDE? I don't know... I sat down once and decided to put all the pros and contras of KDE and GNOME in one list. Result was quite strange... Kubuntu had same number of "pros" and "contras" on KDE side. While GNOME only gave me "pros" and no significant "contra". So, there is something irrational which makes me to choos KDE when I boot my laptop. What are the actual Pros and Contras I found? 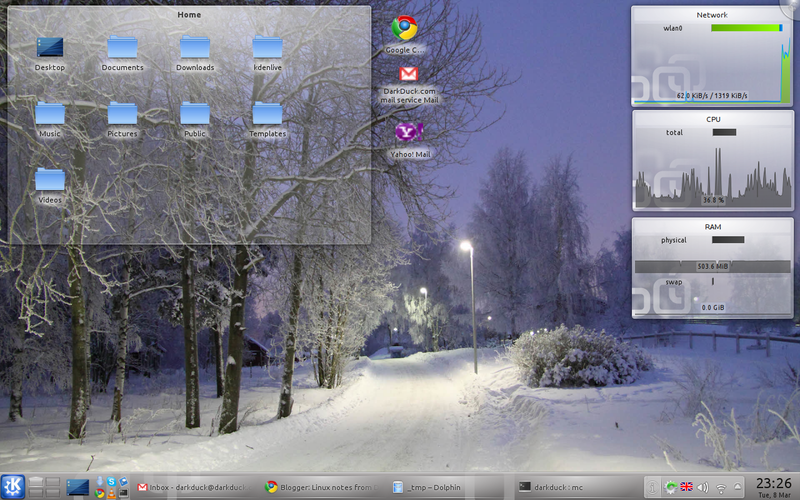 You can see my Kubuntu desktop on the screenshot. I found them very useful. They are not so advanced as Conky options. But they fulfil my requirements to see processor, memory and network usage in dynamic. And they are much easier to configure than Conky. Yes, there are lots of ready-to-use Conky styles available for download in the Internet. But if I need to change something minor in pre-cooked configuration, it is much easier to do in Kubuntu's (Plasma) widgets. I have quite wide task bar panel at the bottom, as you can see. This allows me to pack my quick launch buttons into two lines. This saves space on the panel for task buttons. They, in turn, also can line themselves into two lines when required. It means I can clearly see name of each application on the taskbar. GNOME has different approach. I could not manage to create two lines of quick launch icons. Taking into account that GNOME in Ubuntu and Debian by default has three items (Applications, Places and System), it leaves almost zero space on that panel for taskbar. I had to use additional panel for it. As a result, two panels in GNOME take more space than one panel in KDE. Yes, I know that I can put panels to the side, and new Unity desktop has it by default. But I am too old-school. I want to see my panels at the bottom. Whenever I need to copy files using Dolphin, I get a problem. In very rare cases it is finished successfully. As workaround, I make my important copying in Midnight Commander. I like Google Chrome browser. From the version 1 till version 10 which I use now to write this post on Blogger. Chrome has brilliant function to create "Application shortcut". It effectively creates shortcut for web page which is to be launched without navigation bar and tabs. Just normal window with web page working as application. Very useful for GMail account, for example. Unfortunately, when creating application shortcut for desktop in KDE, it does not appear on desktop, as you would expect. This is because Desktop as folder has little to do with KDE's Plasma desktop. Shortcut indeed goes into ~/Desktop folder. And you can even create a launcher on Plasma using this shortcut. But it gets no icon from the application page, and process itself is something annoying. It should not work like this, you know. I found a workaround though... Chrome can place shortcuts on desktop and... into the menu. And then right-click on the menu item allows you to put shortcut to Desktop. Yes, this time it is Plasma Desktop, not just ~/Desktop. Job's done, and you can now remove menu item. Works like magic, but still additional unnecessary movements are required. Again, my Ubuntu desktop is on the right. You can see, it is less sophisticated than my KDE desktop. You can have different set of applications on each desktop in GNOME. Thus, you can have dedicated desktop for work (office applications), web (browser, Skype, IM), games. You don't need to find Skype button on taskbar somewhere between LibreOffice Writer and Chrome. For me, that is more convenient. I could not think of any "contras" in GNOME, which were not previously mentioned as "pros" in KDE. And which desktop manager do you prefer? Why? How many systems do you have installed? Hope you still enjoy reading my blog. Do you want to make it even better? Do you want to read content which YOU like? Please use your next minute or so to take part i the poll which I run here. Poll form is on the right column of the site, you cannot miss it. And, of course, any comments are welcome as always! What is also nice, this poll is absolutely FREE! PS. Do you follow me on Twitter or Facebook? Why not? I submit lots of interesting links there from around the Linux world! It's time to act now! 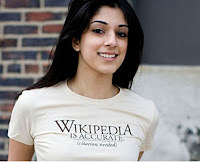 Does Wikipedia know everything? 99% of Internet users will most likely answer "yes" to this question. Do you want me to prove that is not true? Ubuntu is not only the most popular Linux distributive in the world. It is also basis for tons of other distributives. It is like Russian doll. Debian is core for Ubuntu (and some others). Ubuntu in its turn is core for many other distributives. You just need to have a look at Wikipedia page to understand the scale of Ubuntu-dependent systems. But is this list full? I think it is not. Let's talk about this later. When reading blogs, forums and articles about Linux, I have met my new guest several times. It is widely discussed. And then I wanted to try it myself. That was the point when my browser was pointed to official site: http://www.zorin-os.webs.com/ As you may guess from the link, this time I will talk about Zorin OS. But why did I talk about Wikipedia first? You can answer this question yourself, if you type in "zorin" into the search field there. Have you found anything about Zorin OS? Nope! From Wikipedia point of view, this Tux does not exist. Hope, that deficiency will be solved soon. In the meantime, I managed to get Zorin OS 4 distributive downloaded. This OS has several versions, and some of them are not free. You need either purchase DVD with distributive or donate to get a download link. But there are still Core and some other versions available for free. Moreover, Core is available in 32 and 64 bit. My choice was for 32 bit. It weights more than 1Gb, which means for me that DVD has to be burnt. And this also means that I could only try Zorin OS on my Toshiba L500 laptop. So, DVD is loaded into the drive. Reboot. Choose to boot from DVD. Let's go! If you have more than one computer at your home, there is a chance that one of them runs Windows and another - Linux. Then, you are more than likely to have a necessity to share files between your computers. Say, you have something on your Windows-driven computer that you desperately need to work with on your favourite Linux computer. I made several reviews of Operation systems originating from Eastern Europe: SLAX, Agilia Linux, Alt Linux, Austrumi. This time I will aim little bit to the South, on the place where Europe meets Asia. How many countries do you know which are placed in Europe and Asia both? Russia? Anything else? Yes, that is Turkey. Not the most well known country in the world, although European culture would be different if this country would not exist. Byzantium, Constantinople... They are all parts of Turkish history. Modern Turkey is different. It is fast developing and technologically progressive country. And of course, Linux is popular there too, as well is all over the world. If you have Linux fans, surely you will have your own Linux distributive. Does Turkey have one? Yes, and it is named after Anatolian leopard: Pardus. I have heard of Pardus several times before I first tried it. Although, it is not as famous as Ubuntu, Fedora or OpenSuSE. You can find different links on Pardus reviews at the bottom of this post. This time I decided to try it myself. Current version, which was downloaded, is Pardus 2011. It weights well above 1Gb, so I could only put it onto DVD-RW disk. Thus, test could only be run on my Toshiba L500 notebook. Looks like everything is ready. Reboot. Chose to boot from DVD. Let's go! This is time now to announce results of the voting which took place between 3 and 17th of March 2011. Would you like to get a copy of this blog to browse off-line? And the results of voting are shown below. Everyone who voted. You are active users, not just passive readers. For those you can read blog on-line or wants to read it off-line. You are interested in what I am doing for you. For the person who does not like my blog. At least, you can honestly tell that. As you can see, more people prefer to have constant on-line access to my blog than to have off-line backup version. Anyway... For those who voted for off-line file, you can contact me (via e-mail or comments to this post) and I will cater file specifically for you. With my pleasure! If you do not need whole site, but only need to get specific post(s) in PDF version, I can recommend Free online URL to PDF Converter. I tried different converters available in the Internet, and this one worked like a charm. Others had some issues. New poll is now on. The question is "What is the most interesting part of this blog? Please vote. Results will be announced in a months, on the 17th of April 2011. Please also follow me on Twitter or Facebook. You'll get all the announcements from this blog plus many more interesting links directly to your profile! How many Linuxes I do actually have installed on my computer? My Compaq C300 laptop is quadro-boot. 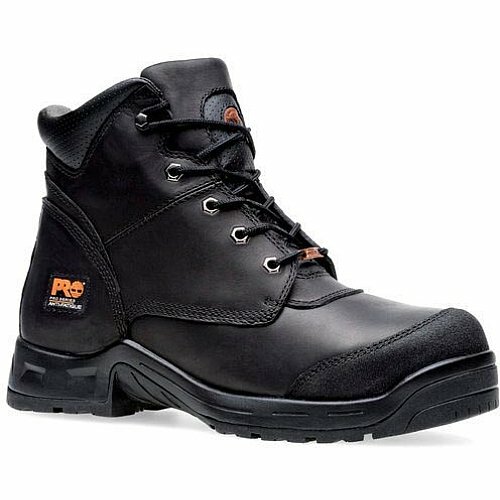 Yes, like this Quadro Boot which you see on your right. Which systems do I have? Windows XP. It came pre-installed on this laptop. And I reinstalled it from backup CDs when original 40Gb HDD failed and I had to replace it with new 500Gb one. I boot it from time to time, because of some specific applications which I use rarely and don't want to install in any of my Linuxes. Ubuntu. This is first "serious" Linux on my laptop. I had frugal "install" of SLAX before, but then it was replaced. It was originally 10.04 LTS version, which I later upgraded to 10.10. Kubuntu. This is second "serious" Linux. It was installed immediately after Ubuntu. In fact, my GRUB2 is managed from Kubuntu. Same as Ubuntu: original 10.04 was upgraded to 10.10. Debian Squeeze. This OS was installed from second attempt when first failed. Previously I kept Puppy 5.1.1 on that partition, but decided to move it away for the sake of Debian testing. How long will Debian OS live here? I don't know yet. I have plans to test new release of OS which was just released (guess which one?) If they have working Live version (and I think they have), then Debian will stay for some time. Otherwise it will be replaced with something new. Although, I have no plans to replace Ubuntu or Kubuntu with something else at this point of time. Why do I have Ubuntu and Kubuntu installed side-by-side when I can have GNOME and KDE on one system and select Desktop Environment during boot? My answer is that I want "vanilla" OS. Both GNOME and KDE have lots of their own functionality and DE-dependent applications. Having both of them in one system will mess up my understanding what is KDE and what is GNOME. Which of those 3 Linuxes do I prefer more? In the meantime, if you want to get any Linux distro, which I have on installed on my laptop, you can Buy Linux CDs from the dedicated web page. 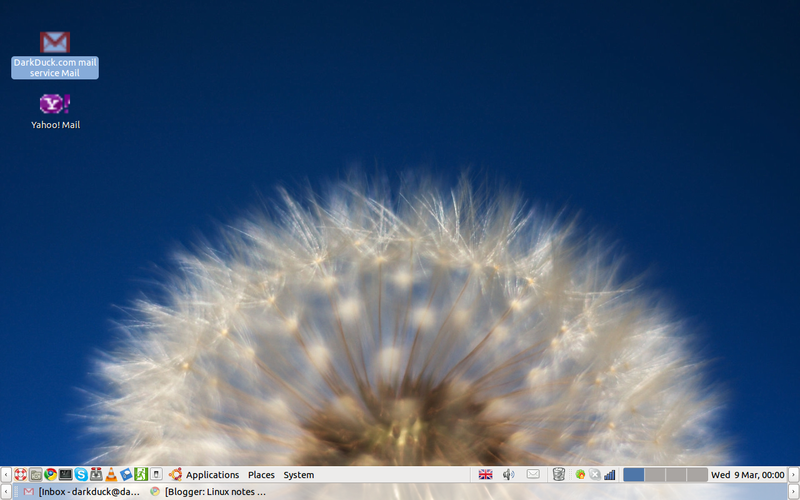 There are actually much more than 3 distros I have listed above. And how many systems do you have installed? What is your preference for them? Share it! If you remember, approximately one month ago I made a visit to one respectable blog where I left a post. Time is ticking, and I got bored in my own blog, deciding to make another visit. This time my guest post is at Techrepublic.com blog (part of CBS Interactive) and is titled Why free software really isn't (and shouldn't be) free. Did Alexandre Dumas Use Linux? Porteus system is relatively new system on the Linux sky. It came to light when developer of SLAX, Tomas M. gave up the project. Even before that, there was a fork called "SLAX remix". Now it is named Porteus. The name sends us to two facts. Portability. Porteus, as well as SLAX, is intended to be portable system. The one you carry with yourself in your pocket and can use wherever you get access to computer. Alexandre Dumas. If you read The Three Musketeers, or even if you have nor done this yet, you must know name of the character Porthos. He is very powerful and friendly, even though not always quick. Distributive of Porteus Linux is very light. It weights under 300 MB. You can either burn it to CD, or extract files from .iso image and copy them to your USB drive. Like in SLAX, there are 2 files in the distributive which can make your USB bootable: one for Windows users and one for Linux. I found a small issue there, because Linux-oriented file (.sh) is not marked as executable, and I could not make it executable. Neither chmod nor Midnight Commander options helped. Anyway, I have Windows XP for some reasons, so .bat file was used. Finally I got bootable USB drive with Porteus system in it. Today I add new feature to my blog: a poll. Let's start with very simple question. Would you like to get a copy of my blog as a single archived file? This will enable you to read the blog (as it stood at snapshop time) anywhere and anytime. Please make your voice heard! Voting is absolutely FREE! Poll will close on the 17th of March 2011. But if you wish to get your FREE copy of this blog right now, please ask me. If you have any ideas for future polls, please either leave them in comments or send me via e-mail (can be found in About Me page). Do you think I made a typo in the post title? No, I have not. Have you ever heard name Pinguy? Have you heard name Pinguy OS? If you answered "no" to both questions, you're not alone. I also did not hear much about this OS until recent. When browsing the web, I read several reviews of Pinguy OS. They all seemed to be very nice. If this is nice, why should not I have a look? Surely I have to try it myself! Pinguy is relatively new operation system. That's why you might not know about it before. First version was released in November 2010. Latest version available for download is 10.10.1 and was released in February 2011. Does version number resemble you anything? Yes, Pinguy is actually not the stand-alone unique OS. It is based on the Ubuntu code, and latest Ubuntu version 10.10 is basis for Pinguy 10.10.1. There are many more distros which use this approach: Mint is most famous. DVD-ROM of my usual guinea pig Compaq C300 laptop does not read DVD any more. That's why I have to test on Toshiba laptop. So, DVD image is downloaded and burnt. Disk is in the drive. Reboot. Choose to boot from DVD. Let's go!